Last December, I spent a day exploring the city of Armagh and fell in love with its beauty and rich history. 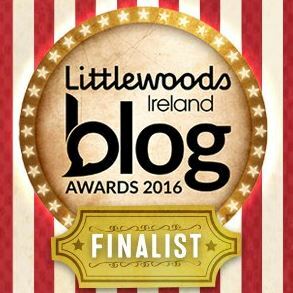 Luckily for me, cep99 is an Armagh native and subsequently knows all the great things the entire county has to offer. 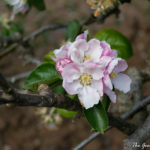 It was at her suggestion that THE_Chris and I joined her on Saturday last week for a tour of the Orchard County at arguably the best time of year: apple blossom season. 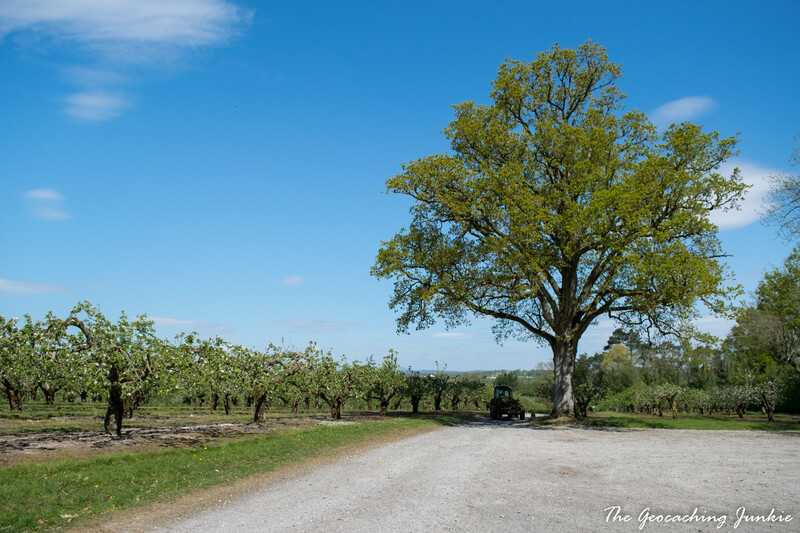 There are around 3,600 acres of apple orchards in county Armagh, producing over 35,000 tonnes of Bramley apples. That’s a lot of apples!! 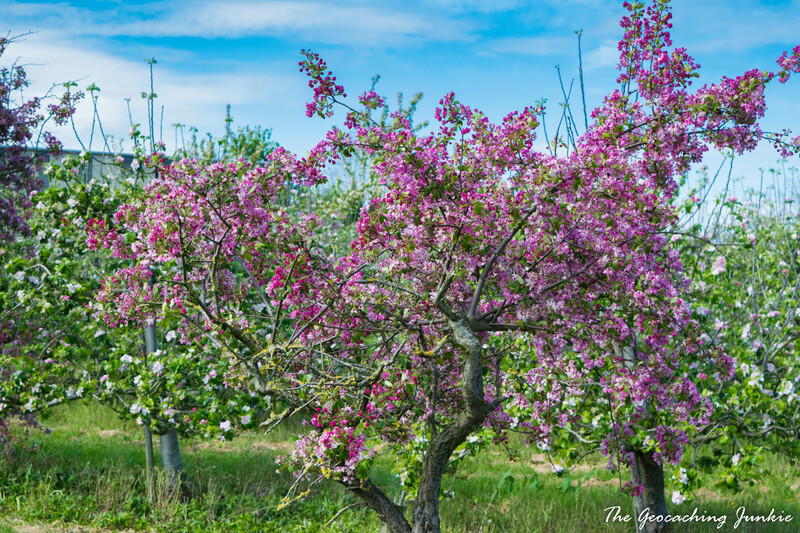 It wasn’t the humble fruit we were zipping around the countryside to see though, but the rows and rows of apple trees with their striking pink blossoms. 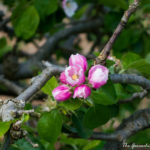 We visited a few orchards to take some snaps but were able to get closest at Ardress House in Annaghmore, a 17th-century house owned by the National Trust. There is also a circular walk around the grounds of the house called Lady’s Mile, which has five great geocaches that you can pick up while you’re there enjoying the apple trees. Unsurprisingly given Saint Patrick’s history with Armagh, it is believed that he also had a hand in the county’s apple past. 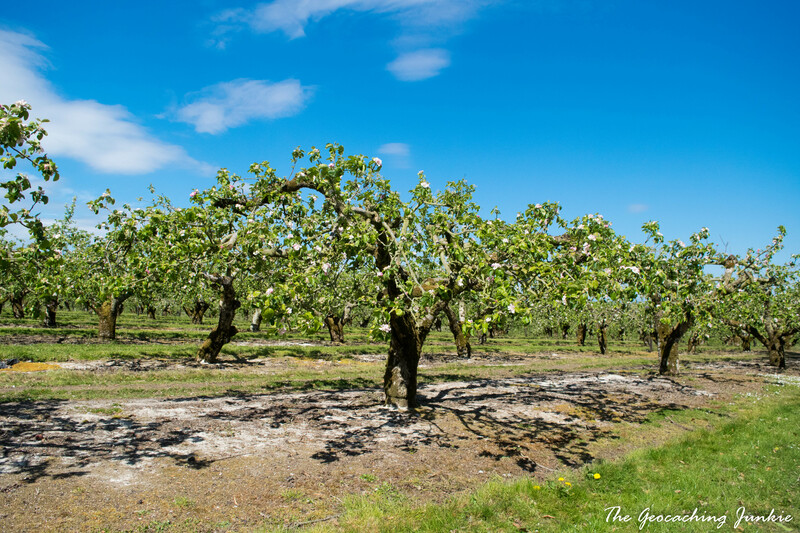 The saint is believed to have planted an apple tree at Ceangoba, an ancient settlement east of the City. In the more recent past, Mr C J Nicholson of Cranagill House, Loughgall, bought 60 Bramley seedlings from Nottingham nurseryman Henry Merryweather in 1884 and planted them in the county. 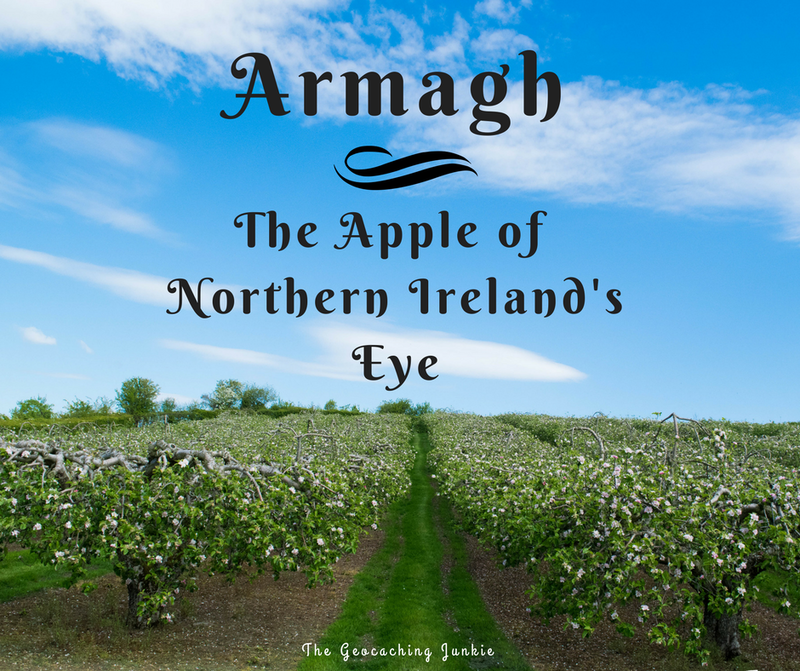 At that time, there were many other varieties of apple being grown in Armagh, including Widow’s Whelp, Ladyfingers and Strawberry Cheeks. 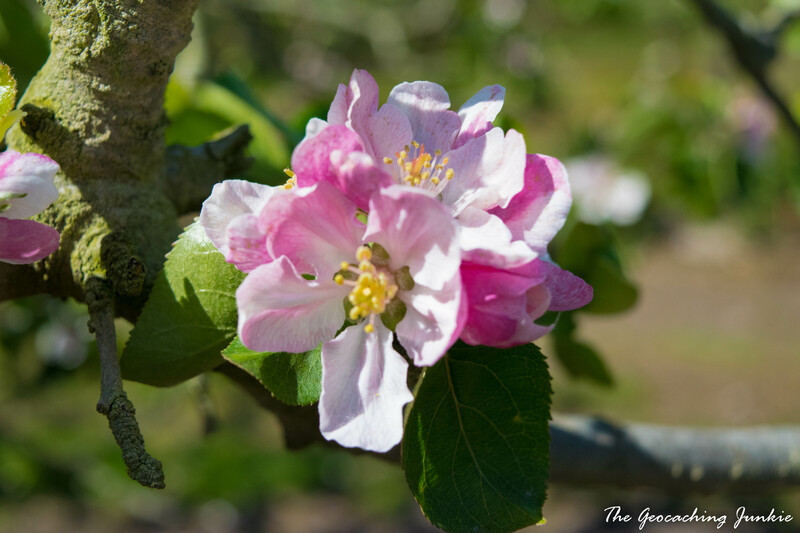 Less than 40 years later, the Bramley apple had been established as the main variety and remains so to this day. Unfortunately, the prominence of the Bramley apple led to the decline of many other heritage varieties. 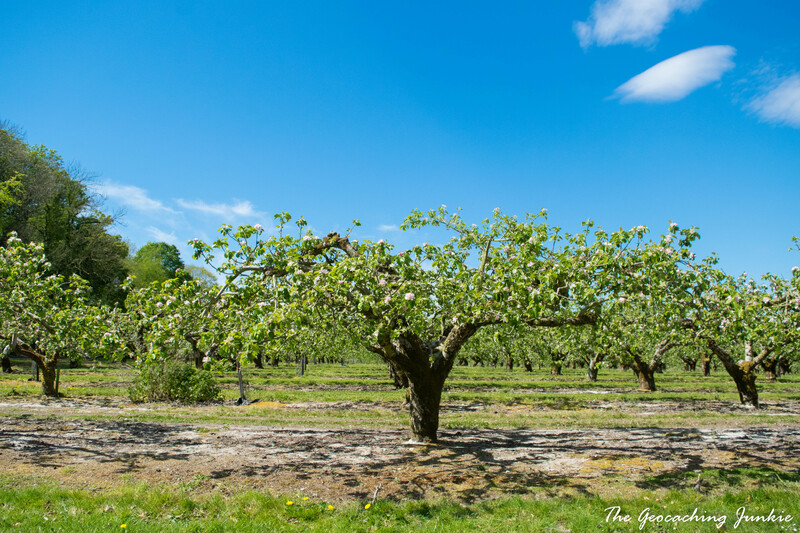 The Orchard Trust was set up in 1995 to start an orchard for the preservation of the apple varieties that were historically grown in Ireland. 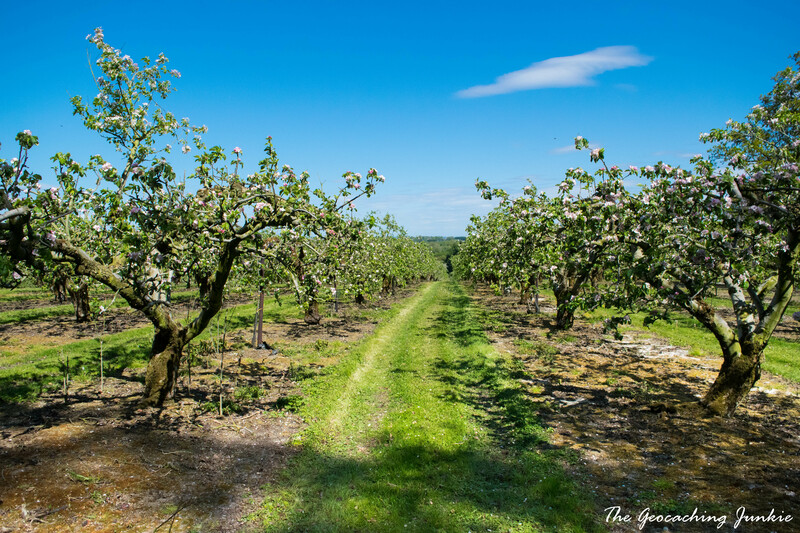 The walled orchard is located in Loughgall Country Park. 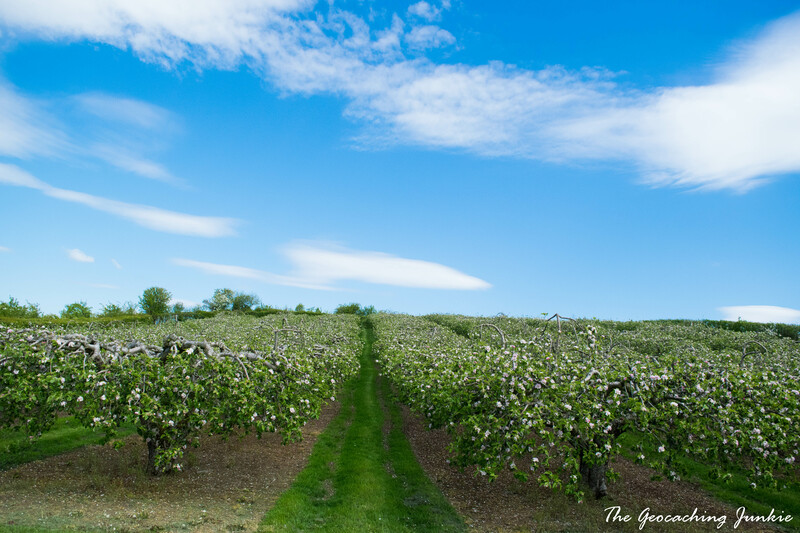 We didn’t visit the heritage orchard on this occasion as the annual apple blossom was taking place, meaning crowds of people were there. Horticulturist Dr. J.G. 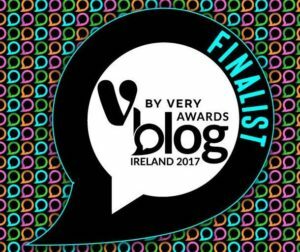 Lamb identified 53 distinctly Irish apple varieties in his 1949 thesis ‘The Apple in Ireland; its History and Varieties’ and more recent research by the Irish Seedsavers Association, the Armagh Orchard Trust and University College Dublin has brought that numbet to over 70 distinctly Irish varieties of apple trees. So what are all these apples used for when the fruit shows up in the autumn? 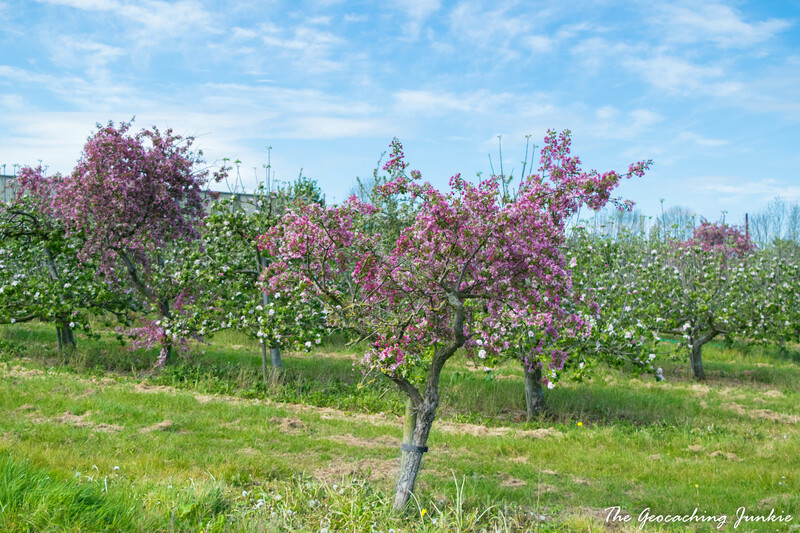 The vast majority – around 90% – is processed into products such as juice and cider. The remainder is sold as fresh apples. 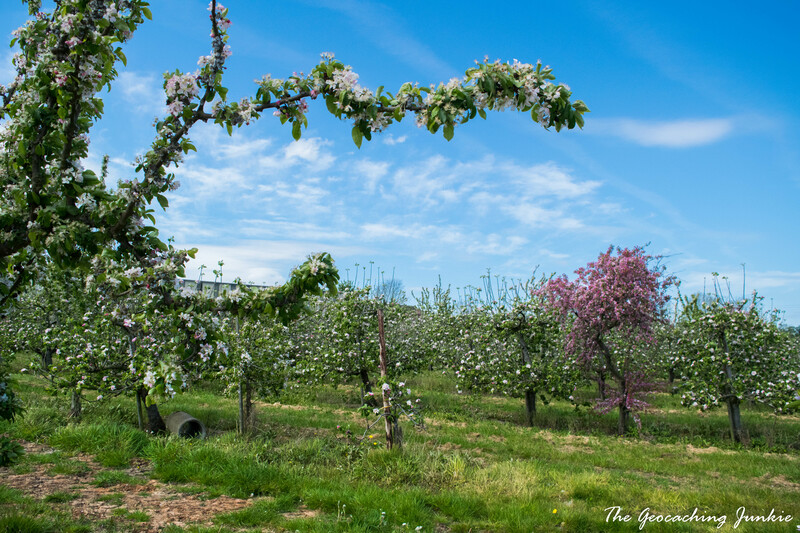 In October, Ardress House hosts ‘Apple Sundays’ where you can try your hand on an apple press, go on a guided orchard tour, as well as try local cider and various other apple treats. I hope to make it myself in October to see the apples falling. 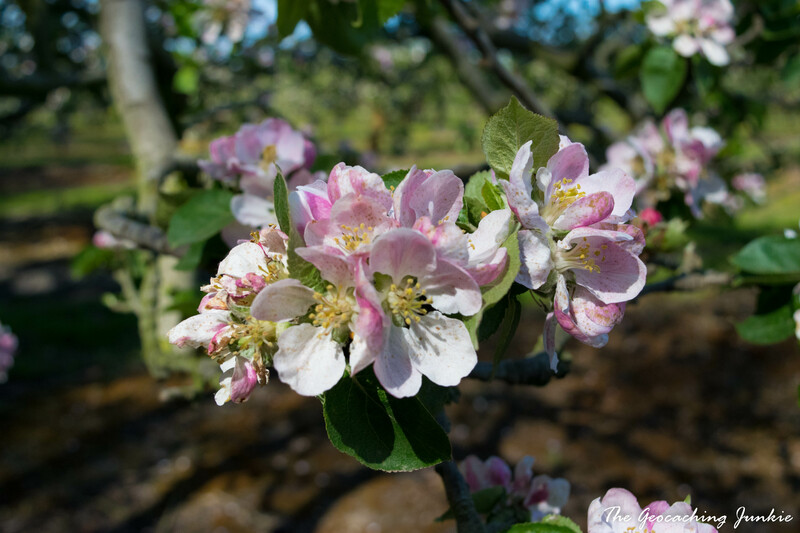 There are still a few weeks left of apple blossom season left, so if you can, I recommend visiting an orchard to see the flowers in real life – they’re really impressive. 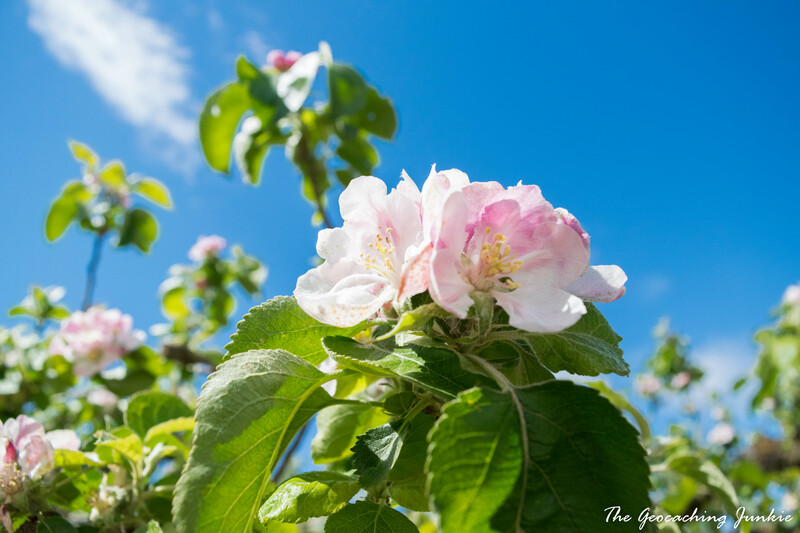 You may not be able to make it to Armagh, of course, but I can definitely endorse a visit to any apple orchard when the blossoms are on show! 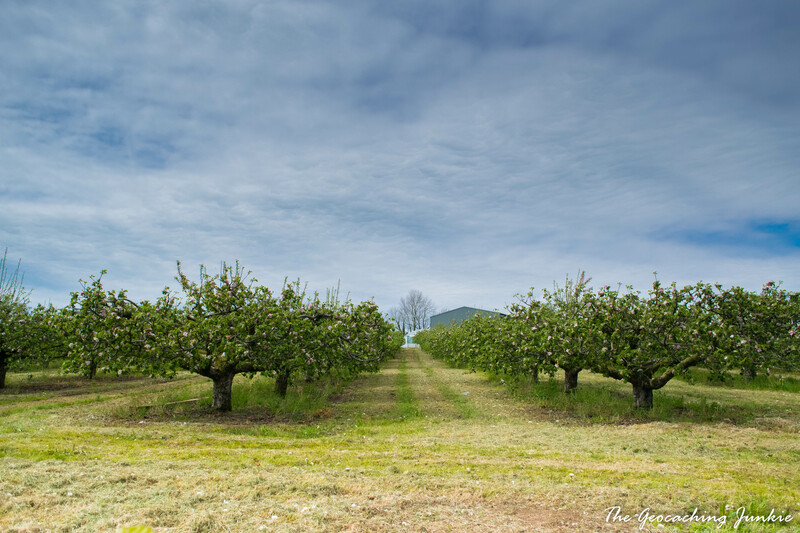 Are there any apple orchards or fruit fields near where you live? Let me know in the comments!